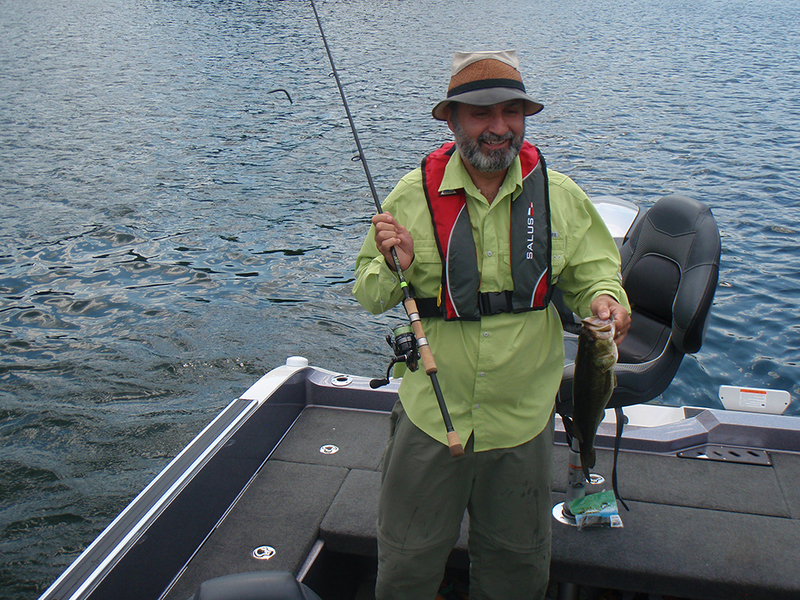 You really don’t need to go far from Canada’s capital and forth largest city, Ottawa, to access hundreds of prime Bass Canadian Shield lakes. How lucky can one guy be. Thankfully, Navionics has many of these lakes included on their various digital map offerings, which is pretty cool given it’s a company located in the U.S. And trust me, you want a good map; especially when you see birds that appear to be standing still in the middle of lakes. Finding the often un-published public boat launches can be a challenge, given that cottage owners try their best to discourage non-residence from enjoying their wilderness sanctuaries. It also means taking responsibility for ensuring one isn’t transporting foreign life such as Zebra mussels or invasive plants from one lake to another. Once away from the launch, it doesn’t take long to find you’re completely secluded from all signs of human activity. The fishing can be spectacular. 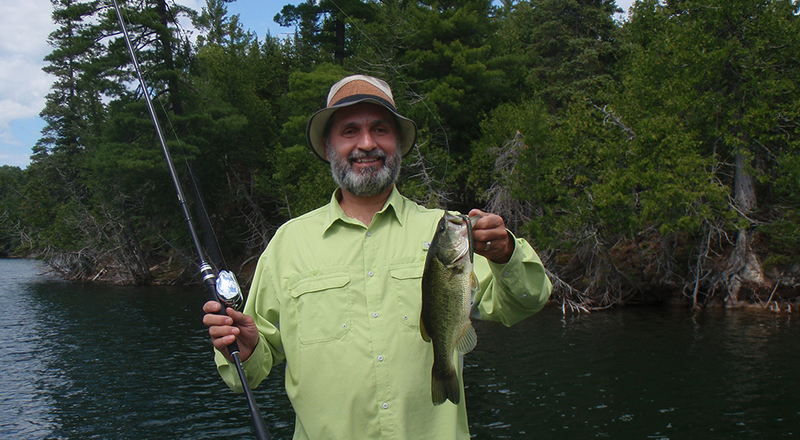 I always come prepared with an assortment of super-strong TroKar hooks. Flipping baits into fallen trees that litter the shoreline makes for amazing action. It does mean however, that my sighted partner has to give me some hints on where to pitch, and especially where not to. 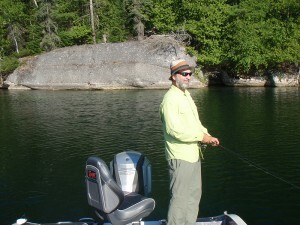 My 7’6” heavy Shimano flipping rod, 65lb PowerPro braided line, and a Shimano Antares reel winds it all in, regardless. Crazy times for sure. There are also the weed beds. Tossing wacky-rigged stickbaits using medium-heavy spinning tackle like the new G Loomis 7’ E6X paired with a Shimano 2500 Sustain spinning reel spooled up with 15lb PowerPro braided line is all it takes. I prefer using TroKar 2/0 size octopus hooks. They may not be weedless, but what is. It’s not a tournament, so I have no problem pinching down the barbs. Days like this leave you with raw skin on your thumb. Bass have no teeth, but after catching 30 or more, their mouths leave their marks. It’s only when your driving home though, that you notice you have “Bass thumb”. A secret reminder of a great day of fishing as you sit through the first office meeting of the week come Monday.